Tremendous news for the economy of Northern BC as the Northern Gateway Pipeline porposed by Enbridge has been conditionally approved. Millions of dollars will be spent in comunities as the pipeline is built and full time jobs created. This kind of positive news will draw more workers to our comunity and creat a greater demand for housing. In 2014 we have received the conditonal approval for Site C hydro electrical dam and now the anticipated Northern Gateway. I look forward to these projects gaining full approval and the tax dollars they will generate the imporve the roads, schools and health care for all British Columbians. The federal government has agreed to let Enbridge build its Northern Gateway pipeline, subject to 209 conditions recommended by the National Energy Board and further talks with aboriginal communities. 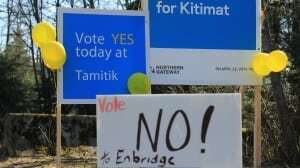 Enbridge wants to build the pipeline from Bruderheim, Alta., to Kitimat, B.C. NDP Leader Tom Mulcair called it "folly" and "pure madness" to think anyone can put supertankers in British Columbia's Douglas Channel. Both Mulcair and Liberal Leader Justin Trudeau said they would reverse the decision to accept the National Energy Board's pipeline approval. Green Party Leader Elizabeth May, environmental groups and First Nations reacted quickly to news of the federal approval, releasing statements opposing it. Nathan Cullen, the NDP's finance critic and an MP who represents an area the pipeline would traverse, said the approval is "an arrogant, Ottawa-based" decision. "Conservative MPs know that. They will be held to account for this," Cullen said. Natural Resources Minister Greg Rickford, whose office announced the decision to allow the pipeline, wasn't available for interviews on Tuesday. The announcement was made in a news release with no ministerial press conference. Enbridge has to show the NEB how it will meet the 209 conditions and has to apply for more permits from the federal and provincial governments, Rickford said in the news release. "In addition, consultations with aboriginal communities are required under many of the 209 conditions that have been established and as part of the process for regulatory authorizations and permits. The proponent [Enbridge] clearly has more work to do in order to fulfil the public commitment it has made to engage with aboriginal groups and local communities along the route." Mulcair said Conservative MPs from British Columbia are "hiding under their desks right now" because the pipeline is already an election issue in the province. Trudeau said British Columbians aren't opposed to economic development, but want it done right. "This government has actually hindered our ability to get our resources to market by not doing its homework … not building the right kinds of partnerships with communities," Trudeau said. Art Sterritt, executive director of British Columbia's Coastal First Nations, said he's looking to B.C. Premier Christy Clark to stop the project. In a news release, Sterritt warned that First Nations are weighing a range of legal and direct action responses, but will wait to see what Enbridge does. "We’ll see if Enbridge dares to put its shovels in the ground," Sterritt said in the release. "First Nations and our allies will protect our rights and the interests of future generations. We will never allow oil tankers into our territorial waters." Clark has the power to grant or deny dozens of other permits for its construction. Her government has set out five conditions she expects to be met before allowing the Northern Gateway pipeline to be built across British Columbia. B.C. Environment Minister Mary Polak said the province's conditions haven't changed and its five conditions haven't been met, the CBC's Stephen Smart reported on Twitter. The Dogwood Initiative, which says it's B.C. 's largest non-partisan democracy group, also called on Clark to reject the proposal. "First Nations and the democratic majority of B.C. voters oppose Northern Gateway. Despite that, Ottawa still intends to ram it down our throat. Premier Clark’s only politically viable option is to join us in standing up for British Columbia,” spokesman Kai Nagata said in a news release. Other groups asserted that despite the approval, the pipeline faces too many obstacles to be built. "Approving the Northern Gateway pipeline rejects science, disrespects First Nations, ignores the Government of British Columbia and brushes aside the voices of millions of Canadians," Tim Gray, a spokesman for Environmental Defence, said in a news release. "Despite cabinet’s approval, the pipeline will not be built. These conditions cannot be met — an approval with conditions is as good as a no. Opposition to the project will only grow louder and stronger every day. This project will be challenged in the courts and on the ground." May said the terrain under which the pipeline would pass is rugged but fragile, making it extremely hard to clean up any spill. "Every First Nation along the route opposes the project," she added. 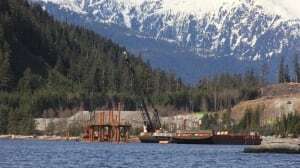 The federal approval is one more step in a long line of permits necessary for Enbridge to get access to the Pacific coast to ship crude to Asia. The federal regulatory process began in May 2010 when Enbridge submitted its application to the National Energy Board. Prime Minister Stephen Harper said in question period that Mulcair was trying to distract from what he called the NDP's opposition to resource development. "The process we have in our government, in terms of environmental evaluations, we establish independent expert panels that follow a public and scientific process. When we've received the report from that process, we will make a decision obviously based on the facts in the not too distant future," Harper said.